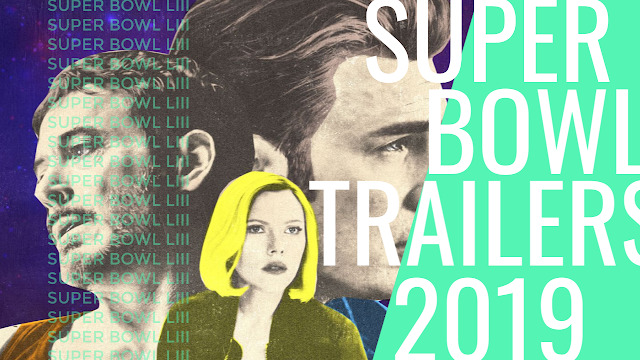 With the Super Bowl happening this past weekend audiences received a look at some of the bigger movies coming out this year. The Super Bowl is still the biggest television event of the year drawing between 110 and 115 million people annually though the Patriots’ 13-3 win over the Rams in Super Bowl LIII was the lowest-rated title game in ten years. Taken on those terms and considering the current price tag for thirty seconds of airtime is a record high $5.25 million ($175,000 per second) it would seemingly make sense as to why studios will pay such amounts to have that many sets of eyeballs on their product, but given the biggest slump in a decade a few companies may have felt cheated. Getting down to the real business at hand, Disney played the field largely with this year's Marvel Cinematic Universe offerings in Captain Marvel and Avengers: Endgame, as well as a special game day spot for Toy Story 4. Universal jumped the gun just a little dropping the full trailer for Fast & Furious Presents: Hobbs & Shaw on Friday while the Super Bowl spot was more or less a condensed version of that full trailer. The studio also gave us what I hope will be the final look at Jordan Peele's US before its theatrical debut next month (as well as a glimpse at his The Twilight Zone series). Paramount dropped a short clip followed by a full trailer online afterward for their animated hopeful in Wonder Park while 20th Century Fox is making one last ditch effort going all in on the James Cameron produced, Robert Rodriguez-directed, Alita: Battle Angel that debuts next week. And that's it, that's all the major movie studios were willing to spend the big bucks on this year. If you were hoping for Disney to drop more including spots for Star Wars: Episode IX and/or Frozen 2 then you'll be waiting until at least April for one of those if not longer for the other. Hit the jump to watch all of this year's big game trailers.